If any of the below statements are true, you are in the right place. • You wish to learn Rhino in the most efficient way possible. • You have NO TIME to waste and you’re searching for a shortcut. • You are an architectural student searching for a quick and easy way to visually present your design ideas. • You got your first architectural job and Rhino is mostly used in your office. You need to learn it fast, concise and through a real life project. • You already know the basics, but would like to take your skill set to another level. • You know it quite well, but you’re searching for some additional tips and tricks which will improve your 3D modeling skills even more. You will learn how to create stunning visual presentations. You will learn how to prepare and optimize models for 3D printing. You will learn how to use Rhino for your architectural projects. How to Rhino was founded by Dusan Cvetkovic. 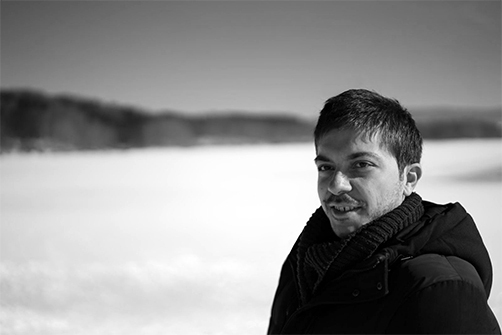 Dusan is an architect, designer and entrepreneur. His mission is to help both architectural students and professionals quickly learn Rhinoceros and massively improve their technical skills in the field of architecture and visual presentation of the projects. After working in architectural industry, freelancing and building several successful brands in various niches (Do It Yourself, Print On Demand), he’s refocused on what he enjoys most: Teaching Rhinoceros3D. You’ll find that his approach to teaching Rhinoceros is very intuitive and efficient. He developed this style over the past few years while working for numerous companies and clients all around the world. Sign up hereand to get your weekly updates on new content, video tutorials, tips, tricks about Rhinoceros and much more. You will not get SPAM messages and you will be able to unsubscribe in any moment.